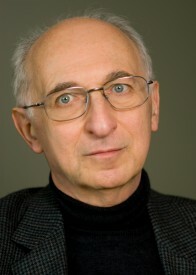 Peter I. Hajnal is Research Associate, Munk School of Global Affairs and Public Policy; Research Associate in Arts, Trinity College; and Emeritus Librarian, University of Toronto, with 25 years of service. He was also Adjunct Professor, Faculty of Information, University of Toronto for 11 years, and has been Library Advisor, G8/G20 Research Group, for 24 years. His past experience also includes 10 years at the United Nations (Dag Hammarskjöld Library, New York, 1962-68 and 1970-74). A member of the G7/G8/G20 Research Group of the University since 1988, he attended fourteen summits as a media correspondent. He is also a Founding Fellow of Senior College at the University of Toronto, and member of the Academic Council on the United Nations System, the Union of International Associations and the American Library Association. He has acted as consultant in various settings, notably at the United Nations, in post-Yugoslavia Macedonia, at the Civil G8 project in 2006 in Russia, and the Graham Library, Trinity College, University of Toronto. In addition to a number of articles, book chapters and conference presentations, he is author or editor of nine books, including Civil Society in the Information Age (Ashgate, 2002); Sustainability, Civil Society and International Governance: Local, North American and Global Perspectives (Ashgate, 2006; co-edited with John Kirton); and The G8 System and the G20: Evolution, Role and Documentation (Ashgate, 2007). The last-mentioned book was also published with updates in a Russian edition: Gruppa Vos’mi i Gruppa Dvadtsati: Evoliutsiia, Rol’ i Dokumentatsiia. (Moscow: Logos, 2008) and a Chinese edition with updates: Ba Guo Ji Tuan Ti Xi Yu Er Shi Guo Ji Tuan: Yan Jin, Jue Se Yu Wen Xian (Shanghai: Shanghai People’s Publishing House, 2010). His UN-related writings include Directory of United Nations Documentary and Archival Sources (Academic Council on the United Nations System and Kraus International Publications, 1991) and International Information: Documents, Publications and Electronic Information of International Governmental Organizations (Libraries Unlimited, vol. 1: 1997, vol. 2, 2001). His latest book chapter, “Civil Society and G8 Accountability”, appeared in Building Global Democracy? Civil Society and Accountable Global Governance, edited by Jan Aart Scholte (Cambridge University Press, 2011). His current research involves a historical survey of the G20 and the study of civil society’s influence on the G8 and G20.